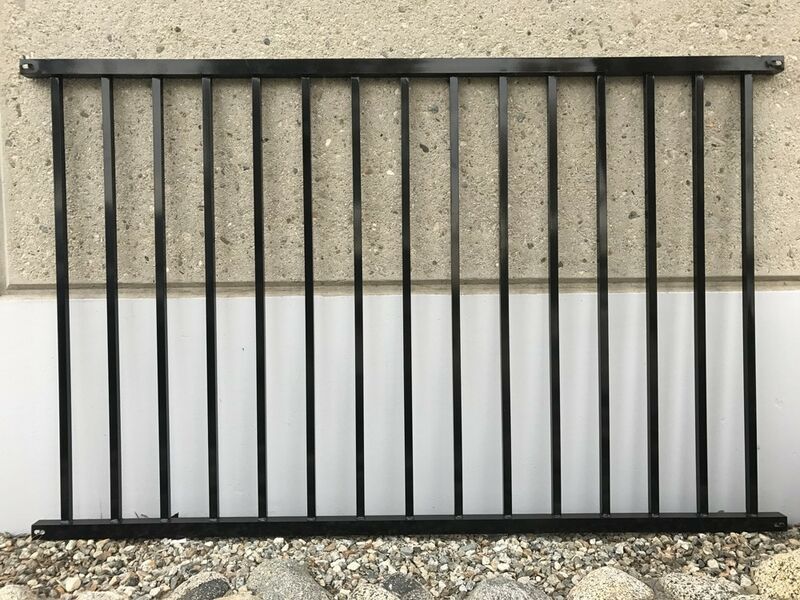 EP Decking EP Steel 2-Rail Railing baluster 72"*48" Railings / 2-Rail Railing / 72"x48"
Railings / 2-Rail Railing / 72"x48"
EP Decking EP Steel 2-Rail Railing baluster 72"*48"
EP Steel Railing Kits offer high quality, durable solutions for your needs. We understand how a poorly made rail system don’t inspire confidence with guests and can be dangerous. Reason why we make our rails with the best materials to ensure outstanding performance. Our rails are made with the finest care and can easily raise your homes property value, not to mention its appearance. Our rails can be used in residential, commercial and industrial locations. The designs are made with all federal, state and local safety codes in mind and offer a sleek elegance only found in our products. Durable – Our rails are made to stand up to whatever Mother Nature throws at it. It’s been tested and home owner approved. Low-Maintenance – Our railing does not need to be painted, stained or treated. The painted coating protects the metal and preserves its condition. Strength – The steel rails are made to be strong and long lasting. The post sold separately. Use with 66 inch height post.